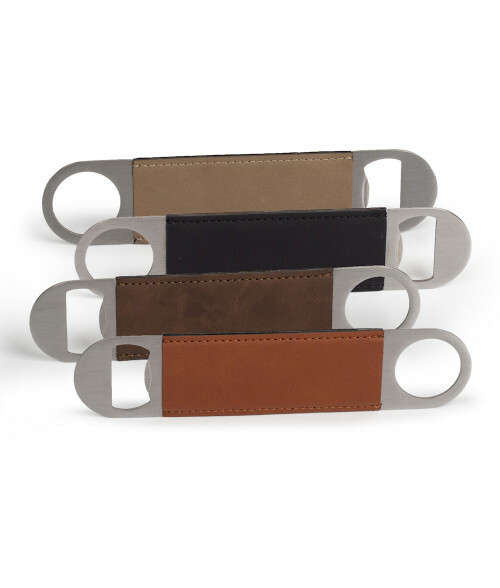 For all the beer drinkers, this faux leather bottle opener is sure to impress. With this smooth feel of this piece, it will be easy to pick up and open your favorite drink. Make it your own by adding personalization with laser engraving. Available in Buckskin, Chestnut, Bay Brown and Black.